180/214 Max Braden Tucker and a Paris cab driver get some laughs, but the movie just doesn't feel relevant. So, you're Jackie Chan, Chris Tucker and Brett Ratner and you've worked together on two highly successful movies that made more than $350 million in North America alone. What do you do for an encore? Why, Rush Hour 3, of course. Somehow, this little franchise that could keeps chugging along, blowing away expectations and smashing box office trends. There was a time when no one would have ever considered opening any sort of major film in either August or September, but with the success of these two fish out of water stories, the battlefield has completely changed. The notion that time of year matters for box office is less significant now than it ever was. 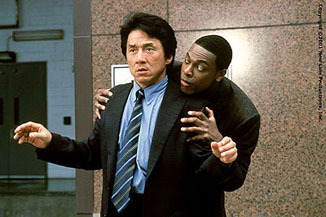 See the latest developments for this project on the Rush Hour 3 Movie News page.